Puppy training takes a lot of patience in order for it to become successful. Obviously, if you have the ability to allow your puppy to run around in a fenced in yard, it is a much easier process. 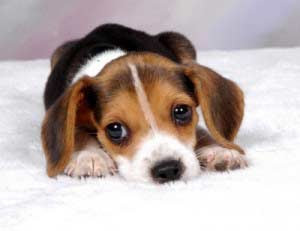 However, many puppy owners do not have that luxury, or they are working all day and cannot break to take the puppy out. Apartment dwellers may need to wait to come home before they can walk their puppy, which may mean that the puppy is left in during the day. An indoor pet potty will go a long way to help your puppy learn where it is acceptable for him to relieve himself. When they learn that there is a difference between their puppy pad and the Persian rug, there will be a lot more harmony in the household. A puppy wants to please their owner, so you should take advantage of the dog’s willingness to seek your approval. Dogs are creatures of habit. A bad habit is harder to for them to break than a new habit is for them to learn. Dogs need tasks and routines. If you teach your dog to use their puppy potty, they are much less likely to have an accident anywhere else. When you come home, you can begin the outside potty training. It will not be long before your puppy can hold it all day and will look forward to going outside with you when you get home. The inside potty can still be used for emergencies.